For decades, Gimmee Jimmy's Cookies was an institution here in Essex County. Thousands of shoppers visited the company’s factory store on South Valley Road in West Orange from 1983 until the early 2000s, and then the bakery’s locations on Church Street in Montclair Center and in the Livingston Town Center. All three of the stores closed within the past 15 years, and production later moved to Passaic County. 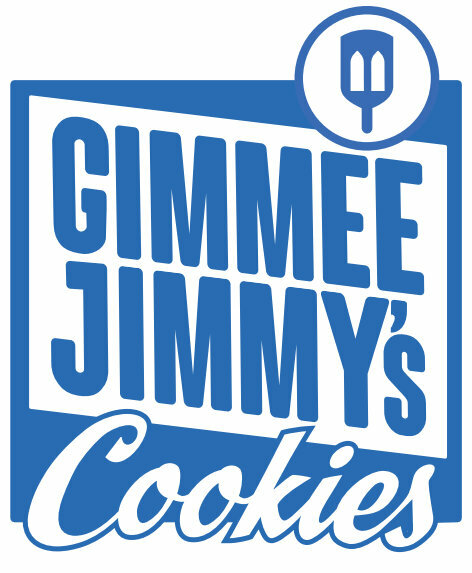 Now, local residents can enjoy the taste of Gimmee Jimmy’s Cookies again! The company was recently purchased by Freeman Lewin, and although production has moved out-of-state to Inwood, New York on Long Island, customers can order online or over the phone and receive free shipping on every purchase. According to Gimmee Jimmy's, the new kitchen in New York is kosher certified, and the company specializes in beautiful gifts for all occasions. There are a wide variety of products for customers to choose from. Items range from baked vanilla babka crumb cake and French round babka to white chocolate chip, double chocolate chip, oatmeal raisin, rainbow, sugar, marble, and black and white cookies. There are also several types of rugelach, including raspberry cream cheese rugelach, chocolate strudel rugelach, chocolate cream cheese rugelach, vanilla rugelach, and cinnamon rugelach. Tins with an assortment of items inside, such as nut-free brownies, are also available for purchase. Plus, Gimmee Jimmy’s offers a loyalty and rewards program for regular customers, and the company also has a program for corporate clients. To learn more, visit www.gjcookies.com. For corporate orders, please email their accounts team at account@gjcookies.com. Note: This post was sponsored by Gimmee Jimmy’s Cookies. To sponsor a post, send an email to placenjwebsites@gmail.com.